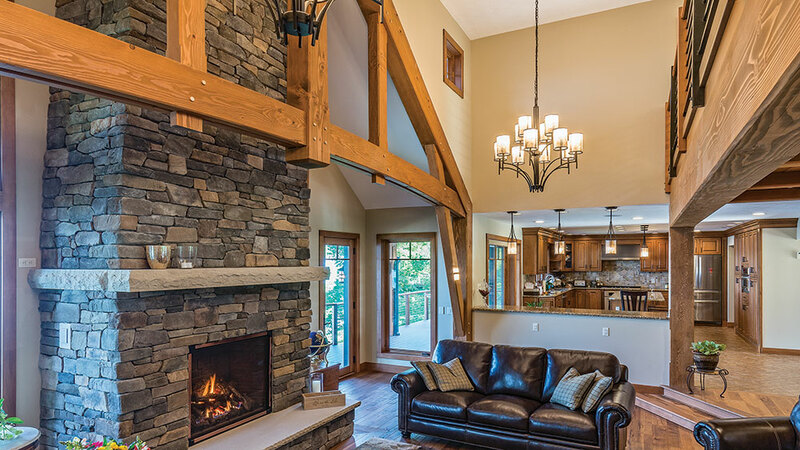 Buying a brand new timber frame home isn’t an option for everybody. There’s a host of reasons for this. Maybe the location of your current home is too good to give up. Perhaps you can’t bear the thought of leaving behind a lifetime of family memories or, more pragmatically, you’ve paid off your current mortgage and the thought of taking on a new one makes you go a little pale. Good news: You don’t have to tear down your existing home to get the timber-frame look. Need proof? 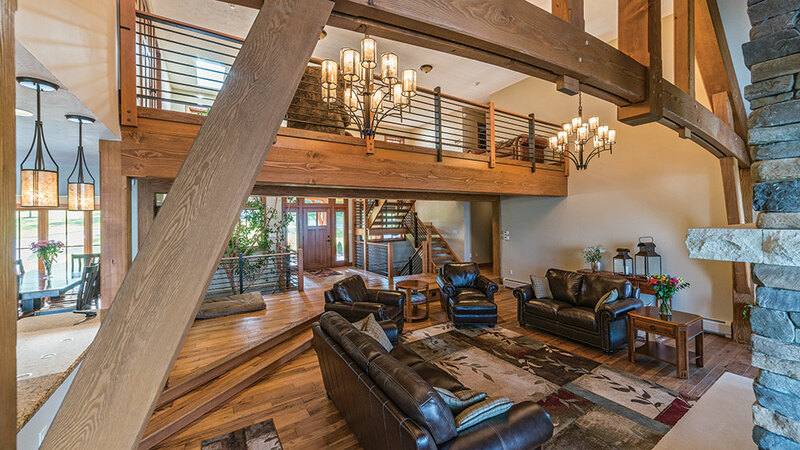 Just check out the before and after photos of this striking stick-frame home, which was given a new lease on life thanks to a bevy of strategic timber accents. 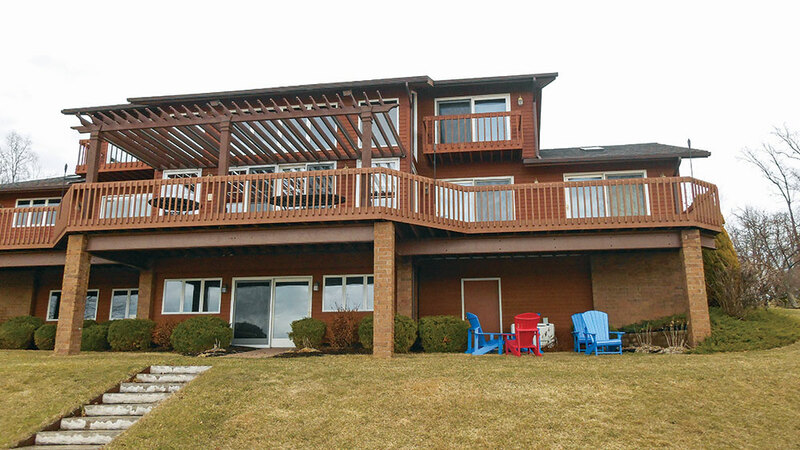 Built in 1991, the original structure was in dire need of new siding, windows and a roof, but the owners truly loved the overall function of the house and its many great features, such as the porte cochere and a bridge connecting the upstairs bedrooms. 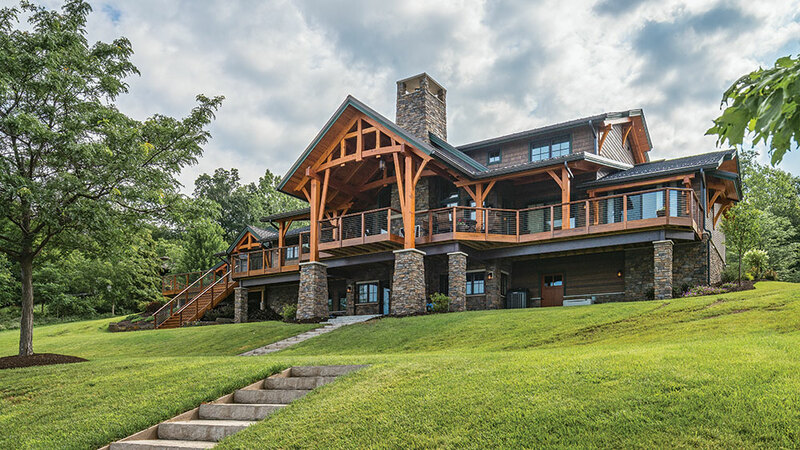 “We hired New Energy Works to design an exterior freshen-up of our house with some timber accents, and the project quickly evolved into a full-blown remodel,” says Vern. 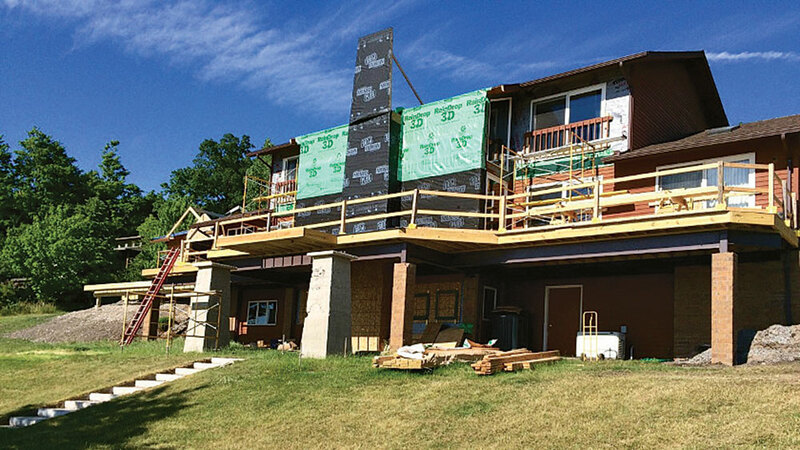 A new four-car garage and breezeway transformed the exterior, along with new siding, windows, dramatic truss work and several covered porches. Bold timber elements created a new identity for the home. 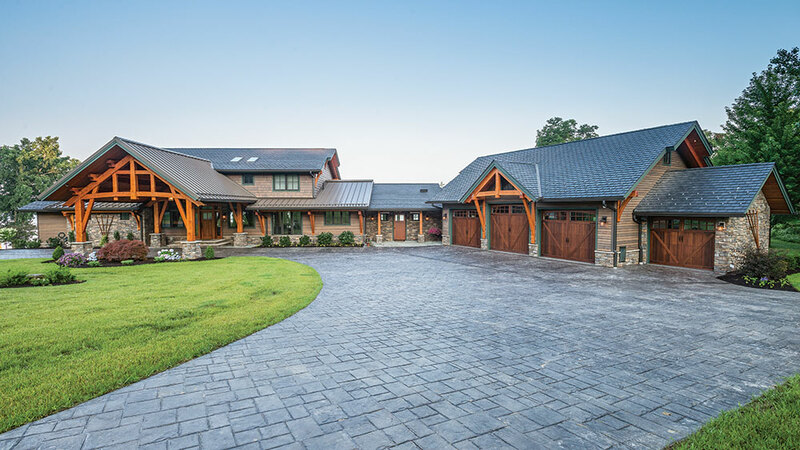 Incorporating the other timber elements into the existing home proved easier than expected. 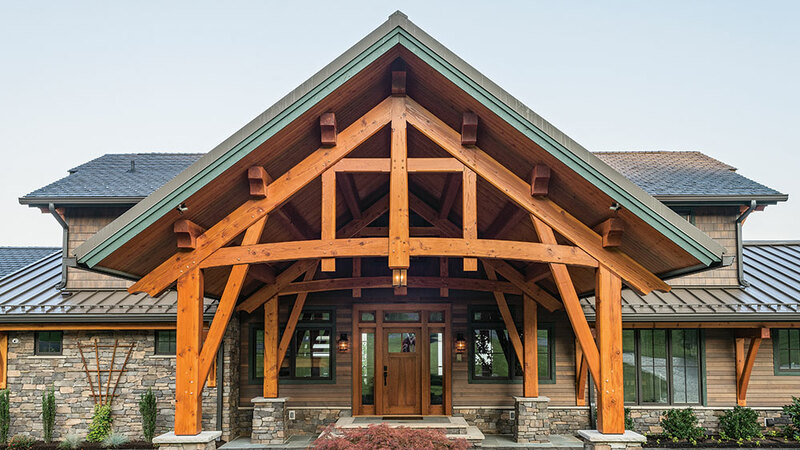 Eye-catching timber trusses were added over covered porches and the existing porte cochere. The original one-car garage was transformed into a sunroom and side entry that serves as a connector for the new four-car garage addition. Inside, a timber bent was added to make the interior feel like a continuation of the exterior. The porte cochere was one of the Sesslers’ favorite features about the original house, but the long, low roofline it created blocked the sun and didn’t do much for its curb appeal. The new timber-framed modification makes an impressive entrance and keeps every bit of the porte cochere’s functionality. More of a revolution than a remodel, the identity of the Sesslers’ home is completely transformed by a bevy of timber elements. 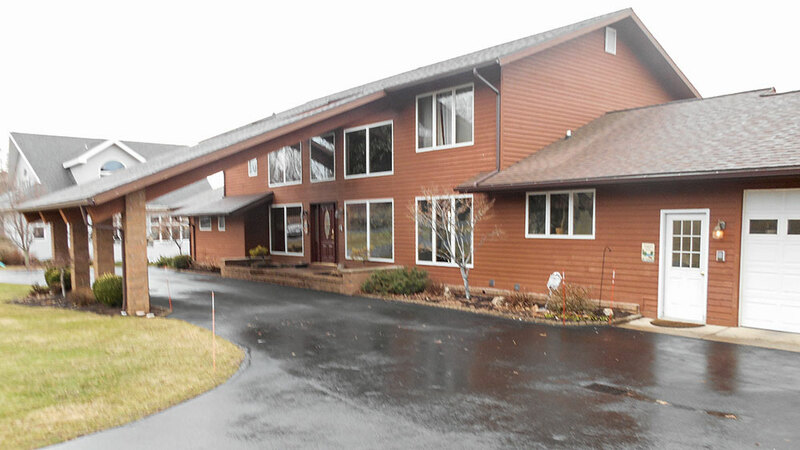 New windows, stonework, siding and roofing — not to mention a four-car garage addition — enhance the timber look. These photos show the progression of the lakeside of the home. More of a revolution than a remodel, the identity of the Sesslers’ home is completely transformed by a bevy of timber elements. New windows, stonework, siding and roofing — not to mention a four-car garage addition — enhance the timber look. 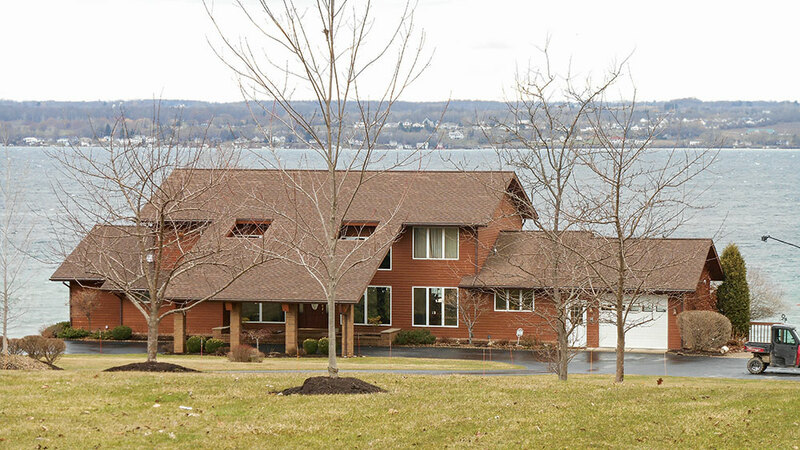 This photo shows the finished product of the lakeside of the home. 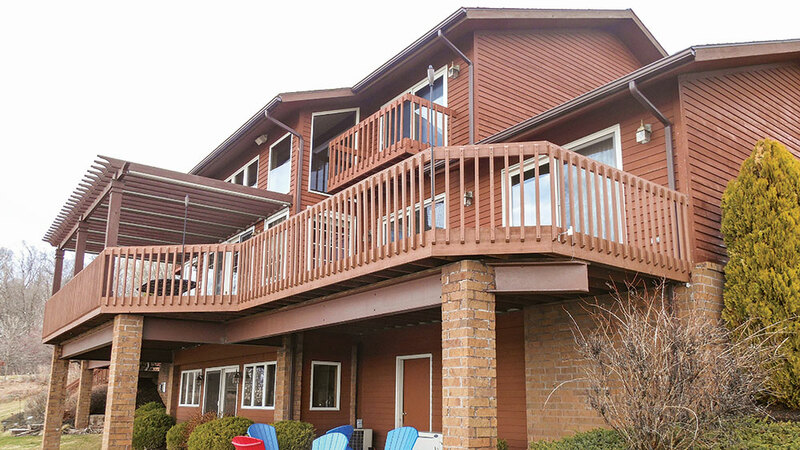 The project grew from an exterior facelift to a full makeover, including adding timber bents in the great room to tie the exterior and interior together. 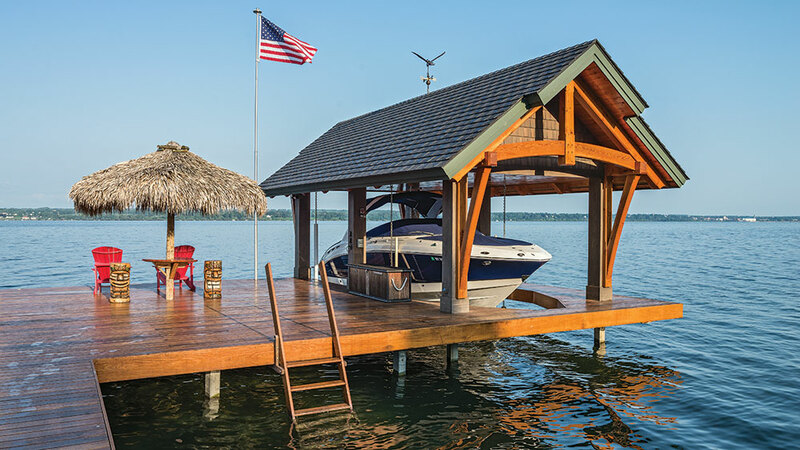 The boat shelter was the first timber-framed structure on the Sesslers’ property, and it fueled their plans for their home’s renovation.